After ample build up and the promise of a dramatic face-off, Michael Phelps finally raced his fiercest competitor on Sunday night. But a computer-generated great white shark, to the disappointment of many viewers, snagged the gold in Discovery Channel's anticipated Shark Week kick-off, "Phelps Vs. Shark: The Battle for Ocean Supremacy." In the previously recorded stunt, the trained athlete and the ocean predator went head-to-head (sort of) in a 100-meter race off the coast of South Africa. The shark ended up crossing the finish line in 36.1 seconds with Phelps falling 2.0 seconds behind. Though the show highlighted Phelps' man-made advantages, which included an especially buoyant wetsuit and a mono fin to help him "swim like a shark," his victory was perhaps never meant to be. Great white sharks can hit top speeds of 15 miles per hour in short bursts, according to National Geographic. However, the beasts have been reported to max out at 25 or even 35 miles per hour. Phelps, even with his special equipment, barely averaged 6 miles per hour, as noted in the broadcast. Adding to the loss, many viewers were disappointed with the set up of the race, as Phelps didn't technically race an actual shark. The Discovery team recorded data of a shark swimming for 100 meters in the water. With that information, a computer-generated image was created to simulate a shark racing next to Phelps, who performed his own 100-meter swim in a separate, shark-free area. While the seamless editing made it appear as though Phelps and the great white were truly racing in adjoining lanes, many viewers took to social media to express their disappointment in the simulation. i really thought they were gonna stick michael phelps in the ocean and have him race against a shark. i am disappointed to say the least. IT WAS A FAKE SHARK. Phelps raced a fake shark....and lost. 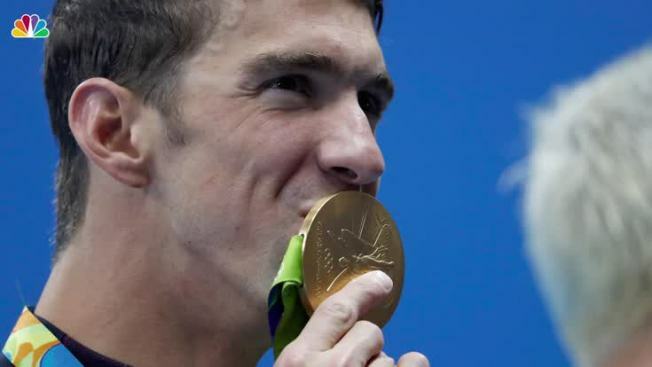 After the race aired, Phelps took to Twitter too, but with a different tone. Until then, Shark Week fans will get to see Phelps again on July 30 when he spends some quality time with sharks in Discovery's "Shark School with Michael Phelps."